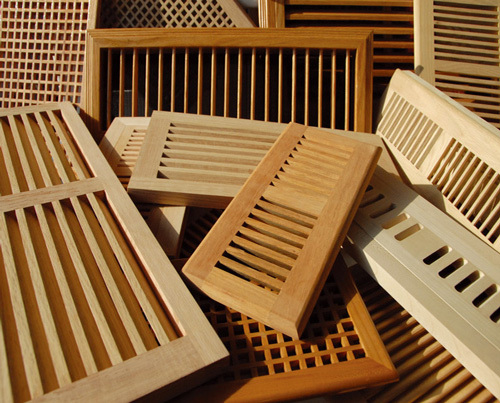 As a specialized supplier of wood vents and floor registers, are pleased to offer a complete line of finished and unfinished wood floor vents and wood wall vents. We supply various wood vents ranging from wood floor vents, wood floor registers, baseboard diffusers heat registers to air registers, wall vents, air grilles, air diffusers and so on. The wide range of styles, species and sizes enable us to realize most of the applications in your floors, walls and ceilings. We stock over 20000 pcs of wood vents and registers in our warehouse in Southern California, and for most orders we ship the other day. We also accept custom made orders.